Do you ever wonder why some people always seem to be struggling in building their USANA business (if they haven’t given up already) while others, seemingly effortlessly, continue to successfully build and grow their businesses? What’s different for these people? What do they have that others don’t have? It can’t be the USANA products, the compensation plan, or the business building tools. Those are available to everyone. Do they have more time than we do? Nope. We all have the same 168 hours available to us every week. What is it that allows these people to have what others want, but can’t seem to get? Let me suggest that the more successful people in USANA (and life in general), realize the success they have because they view their business, and life, from a perspective of abundance, while those who can’t seem to move forward in business, or life, tend to have a mindset of scarcity. Let me be clear that am not professing to be an expert on this subject. Many people with much more education and expertise than me have written thousands of books on this subject. However, I have done some reading and attended some seminars on the subject of personal development, and the topic of Abundance vs Scarcity always seems to jump out at me as one very powerful concept that anyone can realistically use to dramatically change their life. I have also done a lot of observing over the years, and I have seen what I believe to be clear and distinct differences in the behaviors and perceptions of those who are more successful in USANA compared to those who aren’t. By now you are probably wondering exactly how to identify or define Abundance vs Scarcity and what you can do to have more abundance in your business and your life. Unfortunately, I can’t tell you exactly what you, personally, need to do, nor am I qualified to do so. I will, however, share with you two lists which I have compiled of activities and perceptions which I believe exemplify Abundance and Scarcity, particularly as they relate to USANA business building. I think it is highly unlikely that any one person would have all the characteristics or demonstrate all the behaviors of either category. And, some people will drift back and forth between Abundance and Scarcity from time to time. However, I strongly believe that “successful” people will align more closely with the “Abundance” list, while those who have yet to realize the success they would like to have are defined more so by the “Scarcity” list items. I hope you will find this information to be helpful in identifying how you, and every person important to you, can move toward Abundance in all areas of your life.
. You encourage and value the success of USANA crossline Associates, knowing that their efforts are making USANA a stronger company and a more secure business for your team members and you.
. You know that the only person who can be responsible and accountable for your success is you. Evaluating network marketing companies can be a daunting task. However, it is well worth the effort to insure that your time, money and reputation are not wasted on trying to build a business with an inferior company. We know you will find the following guidelines to be valuable in helping you select a company that you will be proud of and that will provide you with the level of lifetime residual income that you aspire to. There are four main areas to evaluate. First, you'll want to look at the company. Who are the leadership of the company? The management? What are their credentials? Is there a vision for the future? Do they function with integrity, and can you prove it? Is this the company...are these the people that I want to align myself with? Second, you'll want to look at the products. Does the company do the research and development of the products? Does the company own their formulas? Does the company do their own manufacturing? Are they in control of quality control procedures? Are the products highly consumable...that people use and reorder on a monthly basis, and become loyal to? Do the products have a positive impact on people's lives? The third issue is timing and trends...timing in the industry, as well as timing in the company. Is the industry just now emerging as a growth industry? Does the company have a history of solid growth...not one that is declining, or flattened out in terms of growth? And, the 4th is the compensation plan. How do you make money? And, is it fair for the individual who is working on a part-time basis...someone who wants to make an extra few hundred dollars per month, and beyond that... will it pay an individual $10,000, $20,000, or more per month...for the people who really want to go out and create wealth and financial freedom? Don't short-cut this process! And, trust your answers! Because we know that if any one of these areas is lacking, your chance for success is cut in half. Which means you'll have to work twice as hard to be successful. If two of these areas are lacking, you'll have no chance. The time to do your homework is before you make the decision to partner with a specific company...not by jumping from one company to another. A person signs up as a new distributor. They're excited about the USANA products and the business and can't wait to get started. They contact their friends, neighbors and relatives about what they have discovered in USANA, only to often be ridiculed and rejected. They make some other misguided attempts to present USANA to their warm and cold market, and nothing happens - more failure. They don't know what to do next. In the mean time, they've heard nothing from their sponsor or other upline members. Phone calls to their USANA sponsor go unanswered. They feel alone, deserted. They eventually quit. Strong-willed people, particularly those with some network marketing experience, can sometimes overcome this scenario. However, the vast majority of people just give up. And now we have another inactive USANA distributor – a person who feels that "network marketing is a scam", or "USANA is not a good company." This attitude can soon spread to other parts of your group, and, before you know it, you have a frustrated, inactive organization. Growth slows and eventually comes to a halt, and attrition increases. It is a fact that approximately 80% of new USANA distributors have no prior network marketing experience. It's also known from feedback collected from inactive distributors, and distributors who have canceled, that one of their biggest complaints is that they've received no support from their sponsor and upline. On the other hand, there are thriving, growing organizations within USANA. New distributors are signing up with the Professional Pack or the Entrepreneur Pack, and duplicating the process. New USANA distributors are earning checks early and regularly, and advancing to higher pin levels week after week. What's going on here? Why do some groups continue to thrive while others shrivel up and die on the vine? All successful people, in any other endeavor, will tell you that a key to their success has often been motivation and/or coaching and/or mentoring, and network marketing is no exception. Network marketing is also known as "relationship marketing". And that means that you not only need to develop a relationship with prospects, you also need to develop a relationship with the rest of your USANA organization. By necessity, all good relationships (both personal and professional) require communication. A catcher needs to know if the pitcher is going to throw a fastball or a curve ball. A wide receiver needs to know if the quarterback is throwing the ball to them. A spouse needs to know if their partner just wrote a large check which depleted their funds. A new USANA distributor needs to know that they can count on others for help and support, and they need to know how to reach those people. Without communication - nothing happens. Or at least it doesn't happen very well. o Throughout the week, check the "New Associates" link on USANA Downline Management (DLM). Click on the "Details" link for every new person, and make a note of their e-mail address. You should also do the same for every person upline from them. You can do this by clicking on the "Placement ID#" link for each person. Keep doing this until you have the information for every person upline from the new person. Then, send a short e-mail to the new distributor, with a copy to everyone upline from them, welcoming them to USANA and offering your support. o When you sponsor a new distributor, send their contact information (name, address, e-mail address, phone number, etc.) to everyone upline from the new distributor, including your own upline. Ask their upline to send a welcome to the new distributor, with a copy to you. o When you sponsor a new distributor, send them a complete list of their upline team, including contact information. Explain that, as their sponsor, YOU are their main support contact, however, all the other members of their upline are concerned about their success, and willing to help and support them as needed. These are just a few examples of things you can do to build a high performance team. Just imagine how much more enthused and committed your new distributors will be when they receive messages of welcome and support from five or ten, or more, of their upline team members, and know that they have people who are ready and willing to help them when they need it. Pass this message on to all of your USANA organization, including all of your upline, and watch what happens when people start to do some of the basic things necessary to build a strong, productive and successful team. Let’s say that you have a prospect, John Doe, who has expressed interest in USANA, but is not yet quite ready to sign up. I understand from my associate, Benny Builder, that you are considering joining our USANA team. I would urge you to look very closely at USANA. My experience with the USANA products and business has been fantastic, blah, blah, blah, blah, etc., etc. Assuming that there are five or six members of your tag team, your prospect, John Doe, will receive four or five e-mail messages encouraging him to sign up with you in USANA. John Doe will now be much more likely to sign up since he has heard how great USANA is from a number of people other than you. He can also easily see that he will be part of an outstanding team with great support when he signs up with you in USANA.
. Limit the number of tag e-mails that a prospect will receive to four or five. Don’t overwhelm them or intimidate them.
. Choose tag team members from your upline, or from downline who will be upline of the prospect after they sign up.
. Prepare a tag e-mail template of your own, and save it on your PC. That way all you have to do is “forward” it to a prospect when someone asks you to send a tag e-mail on your behalf. Try using tag e-mails if you haven’t already. I know they will be a big help to your business building efforts. WHAT? YOU Can Help ME Become A MILLIONAIRE?!?! - NO WAY!!! Perhaps some people you may have talked with about USANA are not familiar with, or don't understand, the concept of residual income. We've all heard of examples of people who have become wealthy by writing a best-selling book, or recorded a hit record which paid royalties to them for years. However, most people have difficulty imagining themselves ever doing anything like that. Let me suggest another way for you to demonstrate to people how, with USANA, they can realistically create a financial asset worth hundreds of thousands of dollars (and even more), with an initial investment of less than one thousand dollars. Let's start with an example of a financial asset that we are all familiar with - a simple savings account. Let's say that this account has $10,000US in it and pays interest at a rate of 5%. That would produce income of about $500US per year, which would just about cover lunch for two people at McDonald's once a week. Not very exciting, is it? Well, let's make it a bit more interesting, and say that you've managed to accumulate $100,000US in your savings account. Now, you're earning $5,000US per year. Pretty good! Now you'll have another $87US per week which would almost pay for groceries when you're not enjoying your weekly treat at the Golden Arches. Don't you think you'd like to do a little better? OK, then let's take a look at your savings account with $1,000,000US in it. Now we're talking! The $50,000US of interest income would help provide for a pretty nice lifestyle. But, it should. After all, you're now a millionaire! Let's go crazy and see what happens if you manage to put $2,000,000US in your savings account. Now your money is earning $100,000US per year for you, which places you in the top 2% of income earners in the United States. Congratulations! You probably won't have to work at a "J.O.B." another day in your life if you don't want to. Perhaps you should consider placing another $1,000,000US in your savings account. That $3,000,000US is now providing you with $150,000US interest income per year. Not only would you not have to work anymore, but, as a "multi-millionaire", you could probably now indulge yourself a bit by traveling to some of those places you've always wanted to visit, pursuing a new hobby, donating more to your favorite charities, and, most of all, having the peace of mind that comes with financial independence and security. Now, let's come back down to earth. If you have $100,000US in the bank, you're way ahead of most people (and can afford to pay the grocery bill with your interest!) So, it looks like we need to set up a plan for you to build your savings account up to $1,000,000US in, say, the next 10 years or so. Using our 5% interest rate, you'd have to save about $80,000US a year to reach your goal. You may have to eat a lot of macaroni and cheese to be able to put aside almost $7,000US every month. But, if you managed to find an account which paid 10% interest, you'd only have to save about $5,400US per month. Just for kicks, let's see what you'd need to do to save $3,000,000US over 10 years. Even if you could somehow get a 20% return on your savings, you'd still have to save about $110,000US per year to reach your goal. Hmmmmmmmmm...there's not much time left for sleeping if you're working three eight hour shifts a day to earn that kind of money! Now, don't give up hope yet. There is another way you can reach your goal of creating that $3,000,000US financial asset. In fact, what if you could find a way to reach that goal in only 3 to 5 years, with a part-time effort, and an initial investment of less than one mortgage payment? Do you think that you MIGHT be interested? I thought so. With USANA's cellular compensation plan, each Business Center that "maxes out" weekly produces $1,000US income for you, or $52,000US per year. By leveraging your efforts even more and building your USANA business with the three Business Center option, you can eventually maximize all three Business Centers, producing income of $3,000US per week, or $156,000US per year - equivalent of having $3,000,000US in the bank! In other words, every USANA Business Center you maximize weekly is a financial asset worth $1,000,000US. USANA has the products, the tools and the marketing plan which allows "ordinary people" to achieve extraordinary levels of financial success. You owe it to yourself and everyone you care about to show people the potential of becoming involved in USANA. And it's really very simple - just give them a copy of the current USANA Health & Freedom paper - everything they need to know is there. Best of success to you! You've taken the first step toward your goal of financial freedom with USANA. The online prospect contacting process is much like contacting any other prospect. However, your prospect is now expecting your call and waiting to hear from you, and they are a much higher quality prospect than most you may have worked with in the past. Once your prospect has identified themselves as someone who is interested and wants more information, it is very important that you contact them by telephone as soon as possible, ideally within 24 hours or less. Remember, as soon as you make a contact online, the first thing you need to do is get them offline and on the phone. * Agree on “next steps”, i.e., meet for a personal presentation, send them additional information, schedule a follow-up phone call, etc. It is critical that this be accomplished with a telephone call. Remember, your prospect has given you their phone number and best time to reach them. They are expecting to hear from you, and you don’t want to disappoint them. Do not rely solely on e-mail messages for this step of the contact process. E-Mail messages are much less personal and much less effective than telephone calls, especially with all the SPAM e-mail, firewalls, etc. today. Acknowledge Your Prospect’s Interest - When you call, tell your prospect that you are calling them in response to a questionnaire they sent to you after they recently viewed an on-line presentation about starting their own home based business. It is important that you remind them of the presentation and questionnaire, to remind them that they had given you permission to call them, and it will make them more receptive to your call. Thank them for their interest and for taking the time to view the presentation. Develop A Positive Rapport - Ask your prospect if this is a good time for them to talk for a few minutes. Show respect for their time. Exchange some pleasantries, but don’t take up a lot of time talking about the weather, etc. You want to start developing a positive relationship, but, you don’t want to waste your time or the prospect’s time, and you want to make sure that you get to the reason for the call and don’t lose focus on what it is you want to accomplish. Determine If They Are a Qualified Prospect - This is more of an art than a science. What you would ideally like to do here is determine if this is the type of person you would like to work with: i.e., Are they able to invest the necessary time and money to build a USANA business? What is their “why” for wanting a home based business? Are there any unique obstacles or challenges which could be a problem?, etc. The best way to do this is to ask open-ended questions - questions which require more than a “yes” or “no” answer. One example might be “So, tell me, what did you think of the online presentation? What did you like best about it?” You might also want to focus on one or two of their responses to the questionnaire, such as, “I see that one of your goals is to provide for your children’s education. Tell me a little more about that.” You’ll be surprised how much people will tell you if you just let them do the talking. Remember, we have two ears and one mouth - use them proportionately. Agree On “Next Steps” - Assuming that the prospect is someone who you think is worthy of spending more time on, you will now want to come to an agreement as to what should happen next. It may be setting up an appointment to meet in person for a presentation. It may be sending them more information e-mail. It may be referring them to an on-line presentation. It may be mailing them an information package including a Health & Freedom paper, True Wealth DVD, Product Information Book, or USANA Product Price List, etc. You will need to decide what is best for that particular prospect, and then explain to them what will happen next. If you are sending them information, it is very important that you also agree on a day and time for you to call them back and follow up after they have received and reviewed the information. Answer Any Preliminary Questions They May Have - Make sure that the prospect understands what will happen next, and ask if they have any questions about the process, such as what information they will be receiving, when you will be contacting them next, and so forth. At this point, you do not want to get into a detailed explanation of the USANA products, business plan, compensation plan, etc. You just want to make sure that the prospect understands what will happen next and who will be responsible for each step. If they ask detailed questions about USANA, just assure them that the information that you will be presenting or sending to them will provide all of the details. Don’t act as if you are trying to avoid their questions, but politely explain that all of their questions will be answered when you meet, or when they receive the information you are sending to them. There is no need to be secretive, but it is just not possible to effectively explain everything about USANA in a phone call. Besides, you want to let USANA’s tools do that work for you. They have been developed by experts and have been proven to work very effectively. Thank The Prospect - Tell the prospect again that you appreciate their interest and time, and that you look forward to your meeting or next conversation. Show them that you respect them, and they will in turn respect you. Now that your prospect has received and reviewed information about USANA, or you have made a presentation to them, it’s time for you to follow up with them. This is when you answer any questions they may have about the company, products or business plan, and then ask them if they are ready to sign up as a member of your USANA team. Again, the follow up should be done in a telephone call, or, if possible, a personal meeting. Questions - Some people may have very few questions, others may have many detailed questions. In either case, don’t be overly concerned about knowing the answer to every possible question. It just can’t be done. If a question comes up that you can’t answer, don’t be afraid to say that you don’t know, but you will get the answer and get back to them promptly. Just make sure that you do so. Also, be sure to get a complete list of unanswered questions from the prospect so that you can get answers to them all at one time and avoid going back and forth with questions and answers which just wastes everyone’s time. Another good option is to do a three-way call with the prospect and your USANA sponsor, or other upline member, to get all the prospect’s questions answered at one time, once and for all. Be careful of prospects who keep coming up with one question after another. Often times, these are people who just don’t want to tell you “no”, so they keep putting you off by coming up with a new question or concern after you’ve addressed their last question or concern. Be aware of this possibility, and don’t let it waste your valuable time. IMPORTANT: At this point, you need to just sit back and wait for their answer. If a prospect says they are not yet ready, it usually means one of three things: Either they aren’t truly interested, or they don’t yet have enough information, or there is a concern over the amount of money needed to be invested. Some prospects are not always forthcoming with the real reason why they are not yet ready, and it can be difficult to determine the answer. All you can really do is ask them “Is there anything keeping you from getting started today?”, and hope that they will give you an honest answer. If they are not truly interested, just thank them for their time, and ALWAYS ask for referrals of other people who they think may be interested in USANA. If money is an issue, assure them that there is no time pressure to get started immediately, and that you will be ready to help them as soon as they have the necessary funds. Ask them when they think that might be, and arrange to follow up with them again at that time. If they don’t yet have enough information, try to determine what else they need to know, and address the question(s) or concern(s) as soon as you can. If none of the above resolves the situation, all you can really do is politely thank them for their time, and ask that they get back to you as soon as they are ready, since you have many other prospects who you need to be working with. You may want to follow up with these people every 30 to 60 days in the future, but you shouldn’t waste a lot more time on them. We have intentionally not provided any “word-for-word scripts”, since this is not a “one size fits all” process. As mentioned above, every prospect is unique and every USANA Associate is unique. We all have our own personalities and ways of doing things. However, as you make your first contact calls and follow up calls, be sure to keep the above list of points in front of you to help you make sure that you cover everything. You may also want to add some personal notes to the list about specific questions you would like to ask, etc. New Associates may also want to involve their USANA sponsor or other upline member on some of their initial contact calls and follow up calls, which will allow your sponsor to give you constructive feedback on your techniques, as well as help address questions and concerns that prospects may have. For more specific training on phone calling scripts and ideas, refer to the USANA Business Development System (BDS). Finally, as you make your calls, remember: Keep a smile on your face, and it will be heard in your voice. The same is true of frowns. 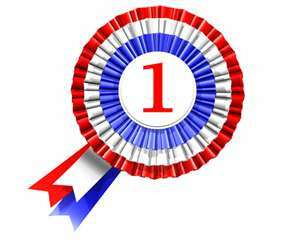 Guess who has the "best" product in MLM??? I hate my best friend, Tom Paredes. He takes pride in correcting my numerous mistakes. About 30 years ago, I gave a presentation. I told the prospect how my company had the best vitamin ever, more milligrams than the competition. And, the prospect should join my company because we had the best product. My best friend, Tom Paredes, watched - and couldn't wait to poke fun at me later. So after the presentation, we were shoveling Mexican food at an all-you-can-eat buffet. Tom turns to me and tells me this story. Imagine you join my company because my product has 100 milligrams of Vitamin C. It is the best product out there. You make your list, you sign up a few distributors and create a few customers. But three weeks later, a brand-new company starts and their product has 101 milligrams of Vitamin C. It's better. So what do you have to do if you want to represent the best product? You apologize to your distributors. Refund your customers. And you join Company B because they have the "best" product. You make your list, you sign up a few distributors and create a few customers. But three weeks later, a brand-new company starts and their product has 102 milligrams of Vitamin C. It's better. So what do you have to do if you want to represent the best product? You apologize to your distributors. Refund your customers. And you join Company C because they have the "best" product. But three weeks later, a brand-new company starts and their product has 103 milligrams of Vitamin C plus a much cooler brochure. Everything is better. So what do you have to do if you want to represent the best product? You can never build a long-term residual income if you start all over every three weeks. Ouch. Tom was right again. But he didn't stop there. He just couldn't resist rubbing it in a little more. Tom did the same story about compensation plans. He told me how I would have to switch every time a new company came out with a different percentage on level three, etc. And that is how I learned my lesson. Don't sponsor people based upon our wonderful product or based upon our wonderful compensation plan. Congratulations! You have joined the 21st century of networking by creating your LinkedIn profile. You were told everyone has a LinkedIn account. You couldn’t be left behind. You check your LinkedIn mailbox each day, but nobody has contacted you. What happened to all of that online networking? Networking, both traditional and online, takes work. LinkedIn has given you a posted profile to talk about yourself and your business. Have you finished your profile? Did you post your picture? Please make sure your have a professional headshot. Seeing you doing gardening or working on your car will not give your potential clients trust in your business abilities- unless of course you are a gardener or mechanic! Your LinkedIn profile is the first place to begin your LinkedIn experience. You must be informative when writing your business description. Explain why a client would want to chose you over your competition. Show your experience and background clearly. Make certain to add your contact information as well as your website address. This profile is your 30 second elevator speech, however, without your personality. Make sure readers get a sense of who you are through your words. After your profile is complete, the fun begins. Imagine that you have your business cards in hand and are about to walk into a networking meeting with complete strangers. Are you nervous or excited? LinkedIn takes some of the anxiety away from approaching new prospects, but as described before, takes the “human” touch out of the initial meeting. You can’t give a warm smile when approaching a new online contact. Instead, you must use your words to convey your confidence and personality. But where do you find people to “talk” to? The first and easiest place to begin is your own email accounts. LinkedIn has an application which will search your address books on certain accounts to find current friends or business associated whom are already on LinkedIn. You simply send them an invitation to add you as a connection. Once they are added, you can then examine their connections for possible introductions. Just like you use your current “ins” to get an introduction now, so you will do the same with LinkedIn. You can ask your current connections for an introduction to someone within their connections whom you would like to “meet”. It’s that simple. Being on LinkedIn does not mean you will not network traditionally. As you meet your new contacts outside of the computer, ask them upfront if they are on LinkedIn. Many of them are, but they too may be confused on how to use their account. You can use this as an opportunity to become an expert to them. When they tell you that they do have an account with LinkedIn, ask if you can add them as a connection. By doing this, your connections will increase dramatically. Once you have your feet wet with navigating adding connections as well as asking for introductions through your connections, venture now into joining relevant Groups. LinkedIn has a large selection of industry Groups to which you may request to be added. What profession or professionals would be a good referral network for your business. Do you want to target a certain industry. Joining LinkedIn Groups allows you to do just that- find a targeted audience. For instance, your target may be women-owned businesses. They are various Groups for women business owners. If marketing companies are a better fit for you, they are many LinkedIn marketing groups to which to join. All you have to do is request to be added to your chosen Groups, then await your approval. However, you must create a “buzz” for yourself within the Groups once approved. You can do this by either starting or responding to various discussion which other members have begun. By doing this, you will become an instant expert. It is another opportunity to show your experience and “personality”. LinkedIn is an excellent avenue to expand your networking reach into geographic areas otherwise unreachable. However, you must dedicate time and effort to your online networking efforts. Once you commit yourself to working your LinkedIn account as described above, you will dramatically broaden you sphere of influence. The ultimate goal of networking is to find either potential clients or referral partners. LinkedIn allows you one more way to accomplish this. Like the rest of life, the "80/20" rule applies in our business: "20% of the people produce 80% of the results." As we have said so many times over, our job is to find "motivated entrepreneurs". It is my opinion that motivation comes from within, and we cannot, nor should we, "drag people across the finish line" if they are not willing to help themselves. We, too, have found that 80% of the people in our group have done little, if anything, to build their business or help themselves. However, the other 20% have helped us build an outstanding USANA business while attaining all of their goals with USANA. The Procrastinators - They'll begin building their business "when they get around to it." They never find the time because they never make the time. The Know-It-Alls - These people don't take the time to "read the instructions" (The BDS). It's beneath them to take the time to learn from those who have built successful Usana businesses, even though the path to success is laid out for them right under their nose. They couldn't tell you the difference between a BC, SVP and GSV. The Paralysis By Analysis Victims - These people are constantly in "getting ready to get ready" mode. They are always searching for that perfect "system" that will magically build their business for them. They'll never find it because it doesn't exist. The Tryers - They say that they will "try" the business to see how they do. Their mentality gives them permission to quit at the first sign of difficulty. You don't "try" a parachute jump. You either do it, or you don't. The same is true of our business. You either do it, or you don't. The Whiners - Constantly complaining about minor details which have no impact on their ability to succeed in USANA. "If only this were different or that were different, I know I could make money in USANA." While these people are whining, there are thousands of people advancing in rank in USANA every month. Motivated Entrepreneurs - These people "get it". They know that USANA's products and compensation plan are unequalled in the business. They set their goals, they develop a plan to reach their goals, and they go on about their business to work their plan. They advance in their USANA business while helping other people do the same. They make things happen while the other 80% are wondering what happened. My advice, don't try to motivate the unmotivated. Instead use your time wisely to find, sponsor and train "motivated entrepreneurs". Show them how to succeed, and then get out of their way! Building a Business with Toothpaste?!?! Building a Business with Toothpaste?? 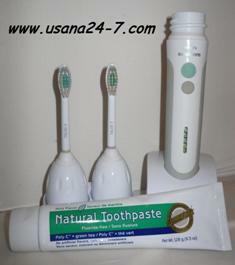 Do you use USANA’s toothpaste every day? Why buy an inferior product from someone else, when you can buy a superior product from yourself?
. Keep one tube for your own use, and give the other tube to a friend who is not already a USANA Associate or PC. TIP: Be sure to put one of your USANA Prospect Stickers** on the tube that you give to your friend. Commit to using the ENTIRE tube. Before you finish the tube, I guarantee you will both be asking yourself why you didn’t use USANA’s Natural Toothpaste sooner! I also guarantee that your friend will ask you about what other USANA products are available, and you’ll have an excellent new PC or Associate prospect. Can you think of a better way to keep your name, and USANA, in front of your prospects two or more times per day? There is a concept within the professional coaching community called Personal Foundation. The idea behind Personal Foundation is that once you have it, people will notice a special energy about you that will actually attract them to you. The way to get a Strong Personal Foundation is to have BALANCE in all the key areas of your life. This could include health, money, physical environment, family and friends, significant other/spouse, fun and recreation, career, personal growth and spiritual. Professional coaches often have their clients grade each of these areas from one to ten, ten being excellent. They will then coach on the ones where the person is "out of balance." Having a Strong Personal Foundation is the first major step to attracting people. People love to talk about themselves. When you ask questions that cause people to tell you about their passions and problems, they become naturally attracted to you. You already know the routine. Ask people about their children, their careers, what they like to read and what they do in their spare time. Try to understand them from their point of view. Getting people to reveal their inner world to you can make you come across as a superior conversationalist...and consequently, a very attractive person. Most people give listening skills lip service. They think hearing another person's words when they talk is listening. That's not the kind of listening we're discussing here. If you can listen to someone without thinking of what question you're going to ask next; if you can listen without thinking of your own agenda; if you can listen without thinking of selling them, then you can listen at such a deep level your potential prospect will be drawn to you. A dialogue exchange will begin to take place that will be so rich and engrossing, it's referred to as "verbal dancing." That kind of communication between two people then becomes irresistibly attractive. If you have expert knowledge about something that people want to know about, that can make you particularly attractive. What are you good at doing? (Or, what are you willing to get good at doing?) Are you good at writing, speaking, marketing, computer skills? If so, many people will be attracted to you. All they have to do is know that you exist and that you have the skills they need. "Your new furniture looks wonderful. You have a natural talent for decorating." Another neat way to attract people to you is to find things about them that you have in common. This goes back to the idea that asking questions, listening and probing into your potential prospect's world will reveal many opportunities to discover things you have in common and can have lively discussions about. A common mistake that people in network marketing make is to tell people how successful they are. People don't care about that. A more attractive way would be to tell people about the people you (or your company) made successful. Tell them about the poor situation somebody was in before you helped them. Describe in detail how miserable they were. Next, tell them what that person's life is like now; how happy he/she is; how much freedom and wealth he/she has...all as a result of doing business with you. Make a list of all of the people you have helped make successful and then develop the "before" and "after" stories that will make you sound amazing. Once you know something about your potential prospects, you will clearly see ways to provide information of value to them. It could be web sites relating to their hobbies or articles about things you two have in common. It could be information related to their business, their children or other passions they may have. No one in their right mind will ever turn down a good referral. Find business for your prospects and they will always take your calls, have lunches with you, give you referrals and yes, give you their business. Earl Nightingale used to say that if you want to be successful, treat every person you come into contact with as the most important person on earth. How The Stock Market Really Works!